Salk's Holofiber Diabetic Socks are clinically proven to increase blood flow by up to 29.9%. 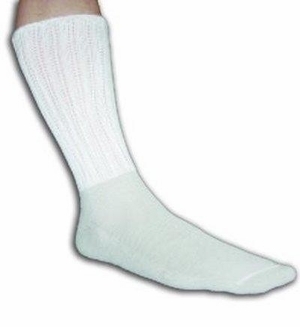 By increasing blood flow, these diabetic socks for men and women help increase circulation, promote healing, and prevent sores and open wounds. Holofiber socks are ideal for diabetics and rehab patients. The Holofiber diabetic footwear are breathable and safe, antimicrobial, and LATEX FREE. White. 4 sizes available according to shoe size. One pair of diabetic socks per package. Before selecting size, see Size Chart in Specification Tab below. Works with the human body system to increase oxygen levels to the skin, which can build strength, increase energy and accelerate muscle recovery. Transformed energy, transmitted by the body, increases oxygenation. Salk diabetic socks and rehab wrap products with Holofiber� can significantly increase the quality of support and healing. 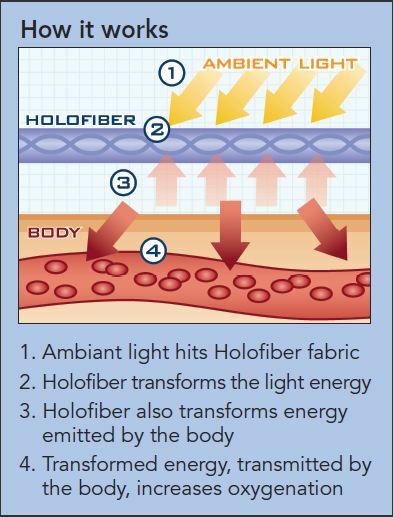 In clinical testing, Holofiber� has been proven to increase oxygen levels in the skin; and a similar effect has been shown in laboratory testing of Salk products. It is widely recognized that elevated levels of oxygen in the skin aids in healing and tissue recovery. Responsive to the body's own energy and emitted spectrum of light.